Virat Kohli is surely not having the best of the times in the ongoing Indian Premier League (IPL) Season 12. The Royal Challengers Bangalore (RCB) team and its skipper is finding it hard to find momentum and has failed to impress fans and critics alike. However, not the one to give up, Virat is sweating it out in the gym in "beast" mode and has a piece of advice for his team, which has lost all the four matches it has played in the IPL so far. 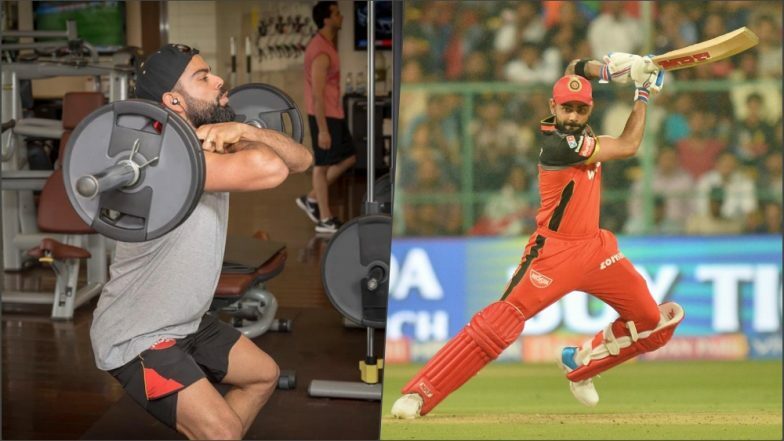 Funny RCB Memes Go Viral As RR Hands Virat Kohli-Led Side Their 4th Consecutive Loss in IPL 2019! Check Out Tweets Slamming Royal Challengers Bangalore. History has been witness to the fact that whenever Virat has struggled, he has always turned to the gym for inspiration. And this time is no different. Virat tweeted not only an image of him from the gym but also an inspirational message. Skipper Virat Kohli Needs MS Dhoni as Anchor: BCCI Man. The Royal Challengers Bangalore (RCB) will next take on the Kolkata Knight Riders (KKR) in a home game on April 5, Friday. The RCB has so far faced CSK, MI, SRH, RR and has lost all the matches. Can the next match be the turnaround game for RCB? Virat is surely match ready.